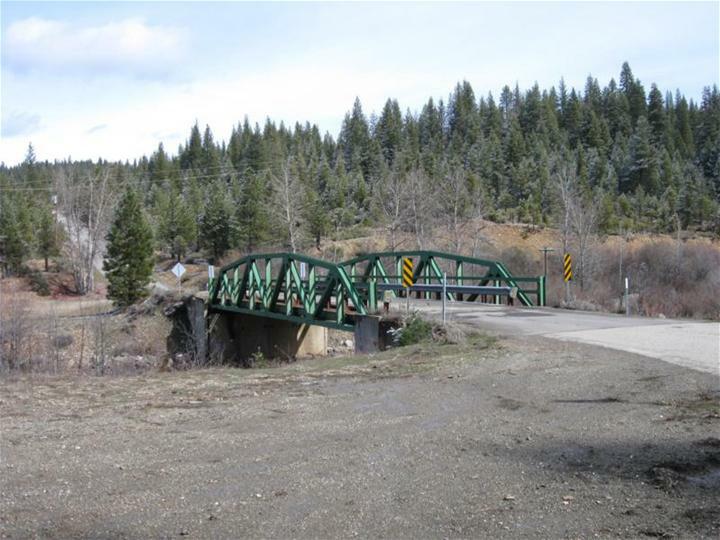 The Plumas County Public Works Department is proposing to replace the structurally deficient one-lane bridge over Spanish Creek on County Road (CR) 422, which serves access to US Forest Service and private lands. The California Department of Transportation (Caltrans) inspection report has classified the bridge as Structurally Deficient, with a sufficiency ration of 37.9, making it eligible for replacement with federal funding through the Federal Highway Administration’s Highway Bridge Program (HBP). The County has obtained funding through the Federal Highway Bridge Program (HBP) to replace the bridge. Work is currently underway to determine the replacement bridge configuration. The replacement bridge is proposed as a two-lane, single span structure 80 to 120 feet in length. The project will also include limited stream bank modification in order to improve in stream channel and reduce the potential for scour at the bridge site. The existing Snake Lake (Gopher Hill) bridge was built in 1938 was originally used as the Rock Creek bridge before being moved to its present location in the mid 70's after the Rock Creek bridge was replaced with present concrete structure. Snake Lake Bridge over Spanish Creek is a single-lane, clear span steel pony truss with high abutment walls comprised of precast concrete panels with tieback anchors and was constructed in 1969. The existing bridge was classified as structurally deficient by Caltrans as a result of their biannual inspection. The panels comprising the abutment wall were identified as having failed. The superstructure of the bridge was coded as being in a serious condition, indicating deterioration affecting primary structural components. The crossing is currently posted for a truck speed limit of 15 MPH. 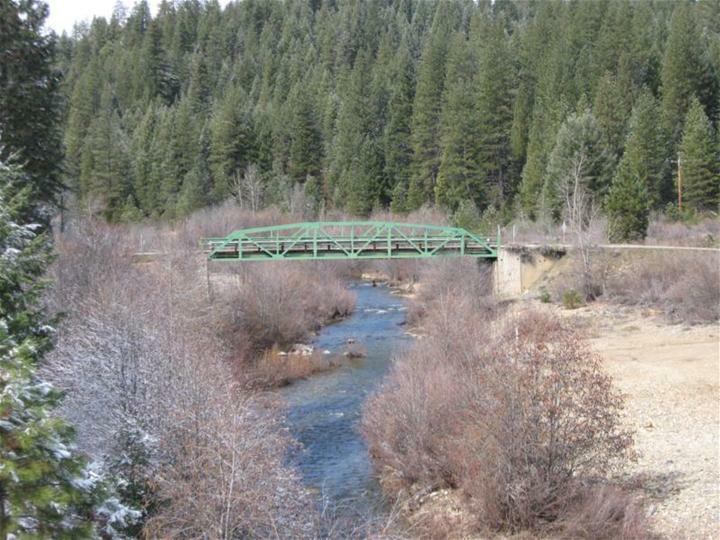 The bridge provides access to U.S. Forest Service and private lands east of the unincorporated community of Meadow Valley. The new bridge will enhance traffic safety and improve conditions in Spanish Creek by providing an increased flow area. As part of the project a temporary detour will be constructed to maintain access to lands north of Spanish Creek. MGE Engineering, Inc. of Sacramento is the prime consultant.